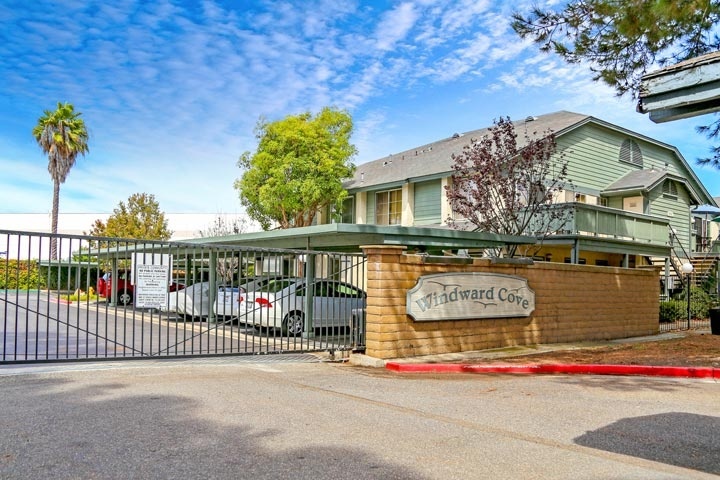 Windward Cove condos are located in the West Huntington Beach area of Huntington Beach, California. The Windward Cove community was first built in 1984 and features one to two bedroom condos that range in size from 540 to 800 square feet of living space. This is a small community of only 96 condos that are located in a gated area and built for those older than 55 years old. Homeowners association dues include common area ground maintenance and the gated entrance. The Windward Cove homeowners association phone number is 949-481-0555 and managed by TSG property management company. This is a pet friendly complex with assigned parking. Below are the current Windward Cove condos for sale and for lease in Huntington Beach. Please contact us at 888-990-7111 with questions regarding this community and any of the condos listed for sale here.